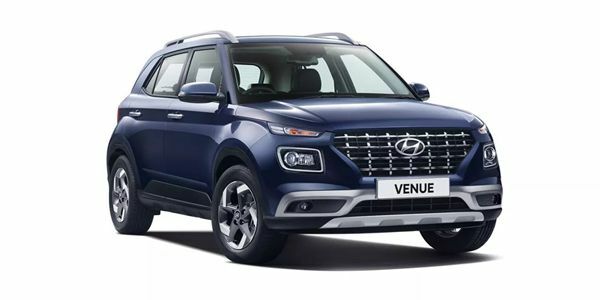 Hyundai will launch the Venue in India on May 21! Yes, with the global unveiling of the all new entrant in the sub-four metre SUV segment, Hyundai is all set to heat up the competition. The Venue not only gets a mini Creta-like design, it also features an all-new 1.0-litre turbo petrol engine with a new 7-speed DCT gearbox. Exteriors feature bumper-integrated headlamp assembly up front, an all-new large cascading grille, 16-inch dual-tone alloys and an overall boxy design from the Carlino concept. It also features plush interiors with a large infotainment display, automatic climate control and a chunky steering wheel from the international 2019 Elantra. Dubbed as India’s first ever connected SUV, the Venue has an inbuilt eSim with Vodafone Idea network, to offer advanced safety, emergency assistance, vehicle monitoring and remote access through a system called the Blue Link. Likely to be priced between Rs 8 lakh to Rs 12 lakh, the Venue will go up against the Vitara Brezza, Tata Nexon and the Ford EcoSport in India. Q. From interior photo, looks like it does not have Padle-shift. However, gear-shift lever can be seen with mode D (manual +/- shift)..! Is it so that one cannot have padle-shift with DCT technology of Auto transmission (and padle shift is possible only with CVT technology)? The CVT transmission can be available with the paddle shifters whereas the DCT gearbox is only offered with a conventional stick shifter. Q. What shall be fuel consumption for petrol version 1 l turbo? It would be too early to give any verdict as the vehicle is not launched yet. So, we would request you to wait for its launch. Q. Which engine is the best and value for money and what is 1litre turbocharged petrol engine? Q. Hyundai Venue or Hyundai Verna which will be the good choice?